Just unfollowed half of my followers!!! If you think this is praise for the app, look at my star rating again. While going down the “lost followers” list, I unfollowed almost 200 followers because I was under the impression they had unfollowed first. I go back to Instagram to see my “following” numbers decrease immensely, so I can smirk about the fact that it will be much smaller than my followers list. I looked through my followers and guess who still follows me—everyone I unfollowed. Thanks for being a waste of time. Extremely accurate with real time stats!Let me see who blocked me and how doesn’t follow me and who unliked my comments. 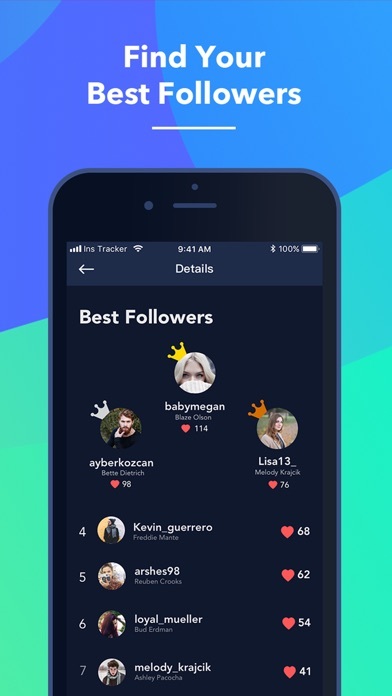 This is the best tracking app i have used.❤It has helped me unfollow people who aren’t following me back, a big help when my other app quit working. To many bags i cant open any page! Good to find out these fake IG followers on a near daily basis since I downloaded the app.Seems to be doing what it’s supposed to do. There are in app purchases but the basic free features are good.I love this app. It always alerts me on time, sometime it may delay, but good in general. 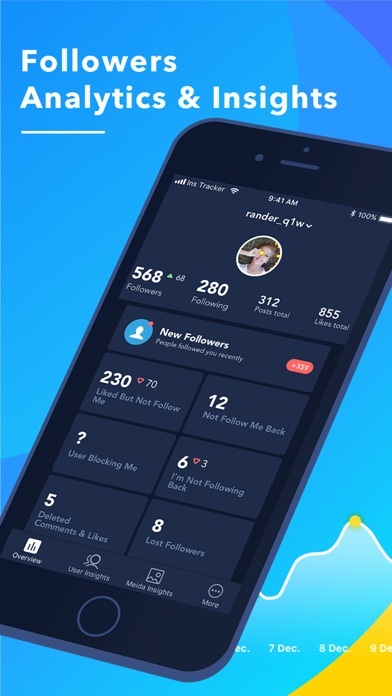 It’s perfecto check unfollowers and figure when people doesn’t follow you back👌Decent for tracking data to see who you‘ve lost.I used many apps before but it is the best app so ever. Extremely easy to use and accurate. Find the fake followers and immediately UNFOLLOW them by just one click. You’ll be surprised at how many jerks you catch, and VERY happy that you did.So far this seems to do exactly what it says. It lets me know who newly followed or unfollowed my IG account. better than those app I’ve tried before, have already recommended to friend. 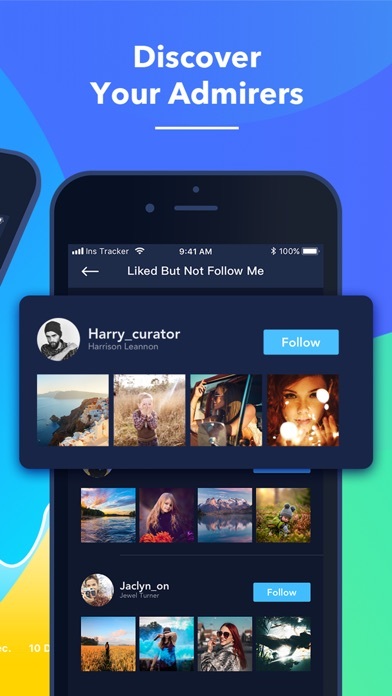 i really like this because it actually tells you who unfollows you instantly.I love this app It helps me stay on track.The best insta tracker app. User friendly, and simple, no bugs.